Heart Rate Training - Less work. Better results. "Looking for "short-cuts or just more motivation training. Do it with heart rate!" Heart rate training done correctly can benefit your running to a large extent. Not only is it fun to follow the progress with and monitor your body, it is also to great benefit for your training results for distances such as 5k,10k or the marathon training. Training with a heart rate monitor is both fun and challenging! This is the overview page for heartrate traing. And below you will find each of the five heart rate training zones explained. Zone 5 - really hard 5k,10k work. More on each one below. So, what does target heart rate mean? What is heart rate training zones, and why are they important. You have different "training zones" that you can train in. Each training zone = a specific heart rate zone. For example 140 to 150 in heart rate. Each heart rate zone = different training results. Some are better than others and much,much more effective. You "stress" different systems in your body and your aim is of course to "hit it right". Better heart rate training results = better training result for less work. If you want to get the maximum out of your training, these zones help you individualize your approach to a marathon training schedule. An Objective Way of Knowing "How Hard am I training"? If you know how hard you run, you can run at "optimal" intensity. With target heart rate training you sort of get an objective way of knowing how hard to run. For every single of the hard runs for the last 10 years I have used a heart rate monitor. Many times together with something called a lactate acid meter that measures blood lactate from the fingertips. Even though the lactate meter gives you the most accurate measurement of intensity possible; the heart rate monitor and the zones is invaluable as an information source. And is a fantastic tool for maximum training effect in your marathon training or general fitness. How to Find Your Target Heart Rate Zones to do the Best Heart Rate Training? Well, the first thing you should do is to find your maximum heart rate. 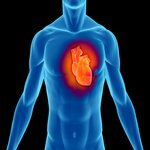 Either by a maximum test, a submax test or to calculate it like specified in the article Finding your Maximum Heart Rate that is located at this link. Next you should use this heart rate in your training. The Heart Rate Zones Explained. To make it very simple, there are 5 main intensity zones to be aware of. This is what they are and this is what you specifically train in each target heart rate zone. To make things easier, let me use a friend of mine as an example. Her maximum heart rate is 200. Now. What Heart Rate Zone to Run in ? The first heart rate training zone. Below 70 % of maximum heart rate. Which means below 140 in heart rate. Click on heading above for more about this zone. This is for easy recovery. This is where a major bulk of training should be. The second of the heart rate training zones. Between 70 and 80 % of max HR. Which means between 140 and 160 for our runner with 200 as maximum heart rate. This is what I call quality junk miles. It does you not much good, so stay out of this zone as much as you can. To find out why read the in depth article by clicking on the blue heading. The Third Training Zone, the "target heart rate" is 80 and 87 % of maximum heart rate. Stay here and improve running performance. For our friend, this means between 160 and 175. This is a great intensity level to train at - whether you are following your first marathon training program or are an experience marathon runner. This is a zone I call Zone 3, that I call target heart rate zone, because this will be the main aim in the harder training sessions to hit. It is right at what we call the anaerobic threshold. The Fourth Training Zone is training heart rate 87 and 90 % maximum heartrate. This means 175 to 180. You are now moving faster - and this is a matter of moderation and periodization. This will help you push your anaerobic threshold up further. But only if done in moderation. And only if done with a periodization plan. Which is in between 90 and 95 %. This is around your 10k/5k pace and really hard running. Well, if you have clicked your way through the headings on all the different zones, you have an idea of what good heart rate training is. I wish you all the best with your training. More articles, click on the menu below or the blue headings above all of the heart rate zones. Find your maximum heart rate - Determine your maximum heart rate from either the max test, the submax test or using formulas.